7The favorite agent of the 80's and his signature flight bomber jacket are ready for action and there's no telling what feats of intellect and resourcefulness he might accomplish. He's already armed with his trusty utility knife. Just in case. 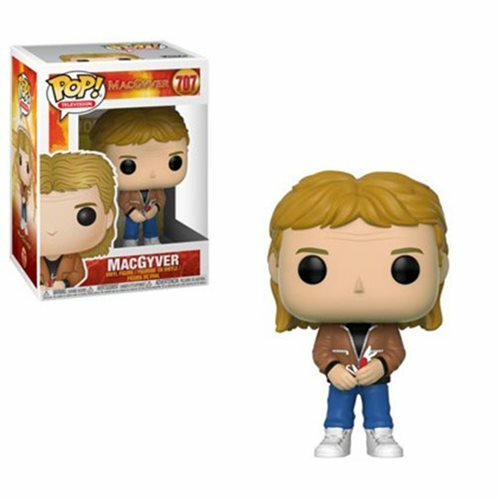 This MacGyver Pop! Vinyl Figure #707 measures approximately 3 3/4-inches tall and comes packaged in a window display box. Ages 3 and up.